The day of 26th of October 2018 marked a new milestone on Signature Group’s path on changing the face of architecture in Mallorca, by receiving international recognition for its Voltor 16 project in Puig de Ros, completed earlier in the year. The prestigious 2A Magazine held the 4th iteration of the 2A Continental Architectural Awards for Asia and Europe, with the theme “Innovative Contextual Design” in the Institute for Advanced Architecture of Catalonia (IAAC) in one of the most architecturally-significant cities in the world: Barcelona. The event venue - The Institue for Advanced Architecture of Catalonia. 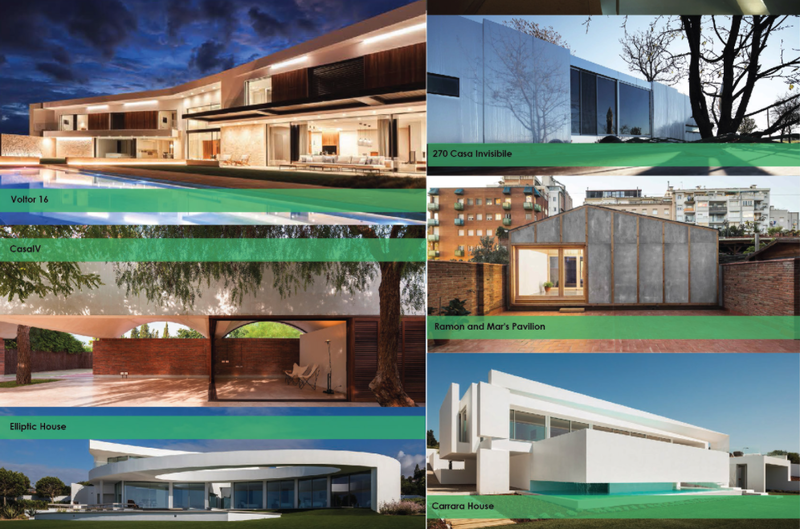 A selection of projects from the Europe Residential category. Congratulations go to all participants, especially to the winners of the European Residential category, who were all from Spain. The competition received more than 400 entries from 34 countries in 7 categories: Residential, Commercial, Public, Urban, Old & New, Interior Architecture, Future Projects. From the multitude of projects, only 241 have been selected as candidates, among those, the Voltor 16 project in the Residential category. Part of Signature Group’s team was present at the event and also took part in the Interaction forum organized by the magazine, and exchanged ideas and visions with other like minded individuals, and met with world renowned architects such as Carme Pinós. Part of the Candidate Projects on display. Signature’s Chief Architect & Partner - Marco Mateus.